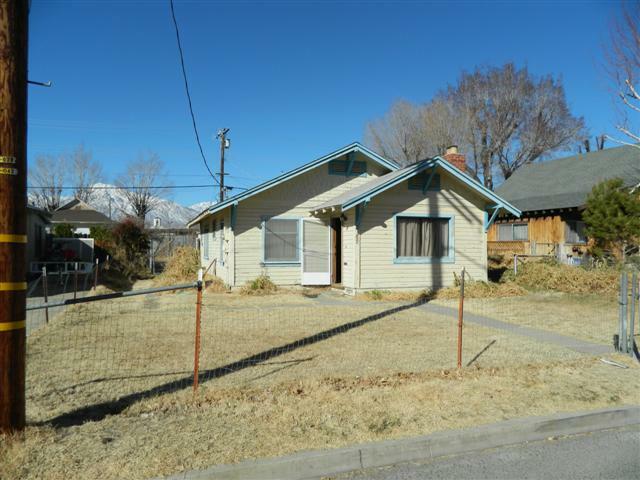 This classic 2 bedroom, 1.75 bath home is in a great downtown Bishop location and needs some tender, loving care. Beautiful knotty pine paneling on the inside that you rarely see anymore. 2 car garage and a fenced yard. Family room can be used as a master bedroom. Rennai propane heating plus a woodstove. Evaporative cooler. The Downtown Bishop area is considered to be within a mile East and West of Hwy 395. This neighborhood is convenient for shopping and is within walking distance to the post office, theater and restaurants. Families with children also find that the close proximity to the schools is a benefit.